Whitko’s Drew Bradford will take his baseball talent to Indiana Wesleyan University next season. SOUTH WHITLEY – Once a Wildcat, always a Wildcat. Such is the case for Whitko High School baseball standout Drew Bradford. 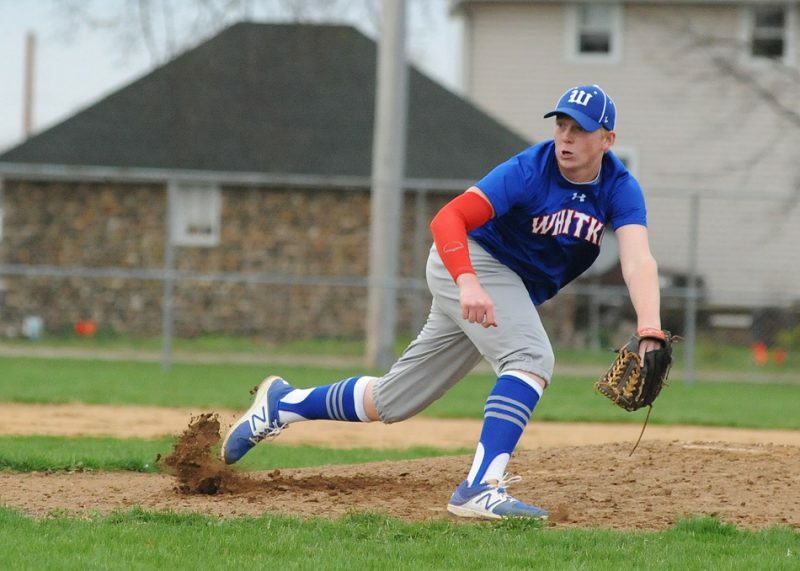 Bradford, the ace of the Wildcats’ pitching staff this Spring, will continue his baseball career collegiately at Indiana Wesleyan University. Bradford announced via his Twitter account Friday night that he will play for the Marion-based program, whose nickname is also the Wildcats. Bradford had a huge senior season on the hill for coach Erik Hisner’s squad. The right-hander went 9-1 with one save and a 1.02 ERA. He piled up 103 strikeouts in 75 1/3 innings of work, which included a no-hitter and wins in both sectional games for the Wildcats. Bradford, who was also an infielder, hit .417 at the dish with a home run, nine doubles, 34 RBI and 20 stolen bases. Bradford was named the District 1 Player of the Year by the Indiana High School Baseball Coaches Association. He was also a first-team All-Three Rivers Conference selection. Whitko went 21-10 this Spring and won the program’s first-ever sectional championship. The Wildcats, who have posted six straight 20-win seasons under IHSBCA Coach of the Year recipient Hisner, lost 6-0 to Wapahani in a Class 2-A semifinal game of the Wabash Regional June 3.